The goal of this project is to gain further insight into the low productivity of firms in developing countries, and why competitive forces have not led to stronger selective pressures. Firms in developing countries exhibit large variations in revenue and output, even conditional on inputs. 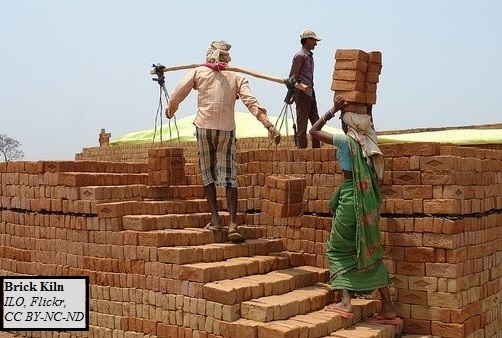 This project focuses on the market for ceramic construction bricks in India. Brick production is simple enough that the production process can be modelled realistically and the complete production data of a firm can be collected with a concise survey. Bricks are a homogeneous good yet heavy enough that long distance transport is rare; competition can thus be studied in many different, independent brick markets. Finally, the Indian brick industry contains a wide variety of firms with different scales and technologies, allowing the questions described above to be studied cleanly. The researchers will provide two interventions to randomly selected firms: one targeting the smallest, least productive firms, and the other targeting the larger, more productive firms to randomly selected firms. The first is to aid the upgrading of kilns in parts of Southern and Central India and evaluate the impact on both the adopters and their neighbours. The second will attempt to accelerate the adoption of cement block producing technology by a combination of technological information, training, and facilitated access to credit. Because cement blocks are a direct substitute for bricks, this intervention will randomly vary the intensity of competition for the surrounding brick firms. Two rounds of firm surveys will evaluate these interventions. These surveys will provide a unique source of data on firms across multiple markets, due to the additional variation induced by randomized changes in production technology. Many brick entrepreneurs are very small and have little revenues; thus, this research will impact among the poorest individuals in India. The results will inform policy on how best to channel the powers of market competition and selection to enhance productivity and improve livelihoods, contributing to a broad dialogue on issues such as subsidies to the cottage sector producers, allocation of credit from state-owned banks, and environmental regulation of MSMEs.